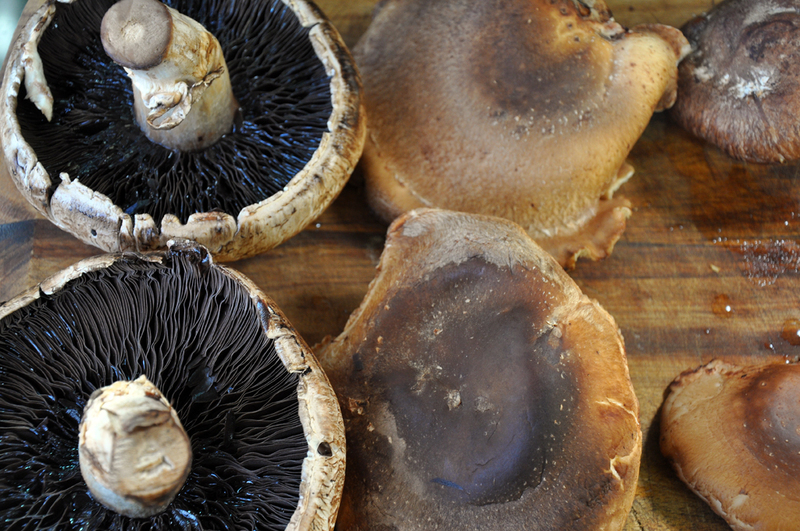 Beautiful portobellos and shiitakes, but feel free to use whatever is in season or available. 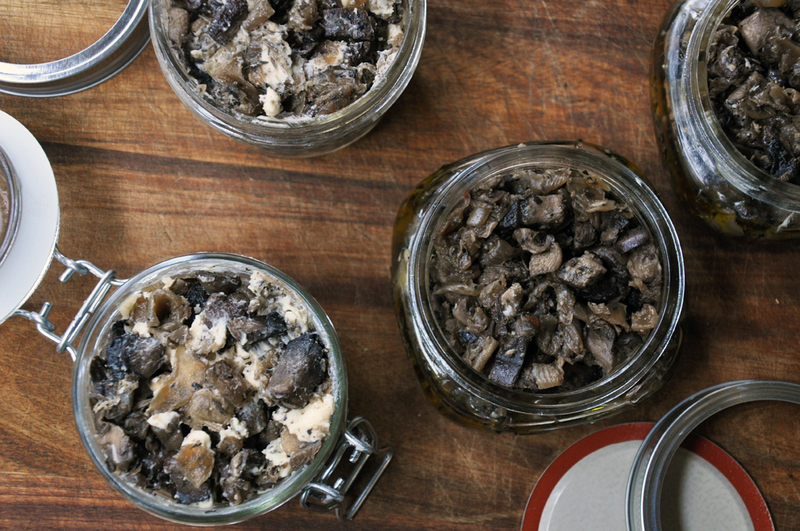 Cooking the mushrooms and onion low and slow is the key to soft, spreadable rillettes. In a large skillet heat 2 Tbsp EVOO over medium heat. Add onions and garlic and sauté 10 minutes until translucent and soft. 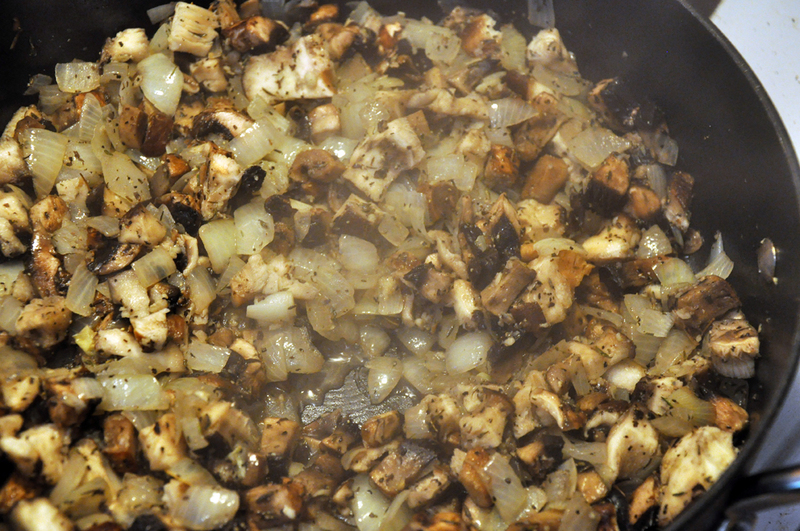 Add mushrooms and cook down until most of the water has evaporated, about 15 minutes. Add thyme and SnP. Reduce heat to medium-low and cook for 3 hours until the mixture is significantly reduced, dark and the mushrooms are very soft. Remove from heat and let cool to room temperature. Divide the mushroom mixture into four parts, then pack into four jars or other air-tight containers with either 3 Tbsp butter or 3 Tbsp EVOO. Refrigerate overnight so the fat sets. 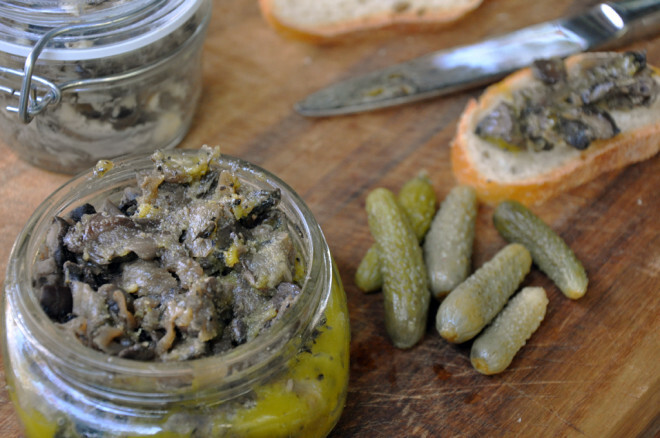 Serve with bread and pickles for a traditionally French starter. This just looks decadent and perfect for a holiday meal…must try!